After three plus years, Hoboken Superintendent Dr. Mark Toback will be moving on from the Mile Square City's school district. He's slated to take on a similar role with Wayne Township in August. Toback's tenure, a little more than several years is noted for the improvements in test scores of the students despite recent financial setbacks where funding reductions led to cuts mostly in what he described as outside the core function: academics. The financial setbacks in funding was the latest challenge Toback and the school district face, marked by escalating funding concerns between competing areas of the school district. That issue of charter school growth added to the recent challenges in the district. Toback was a strong advocate for the school district but didn't shy away from the emerging problems in that arena; one which led to major disagreements on all sides. be moving on in a similar capacity for Wayne Township. Toback in a phone interview said the recent funding issues and associated costs led to structural changes with budget cuts inevitable. "All reductions were around the perimeter of the core function: teaching and learning," he said. He added there were negotiations with unions ongoing in an effort to preserve more jobs and of 63 job cuts, 34 were in the area of transportation. Additionally, some instruction areas not required under State law will be eliminated. The impact of the budget cuts is expected to go into effect on July 1st. 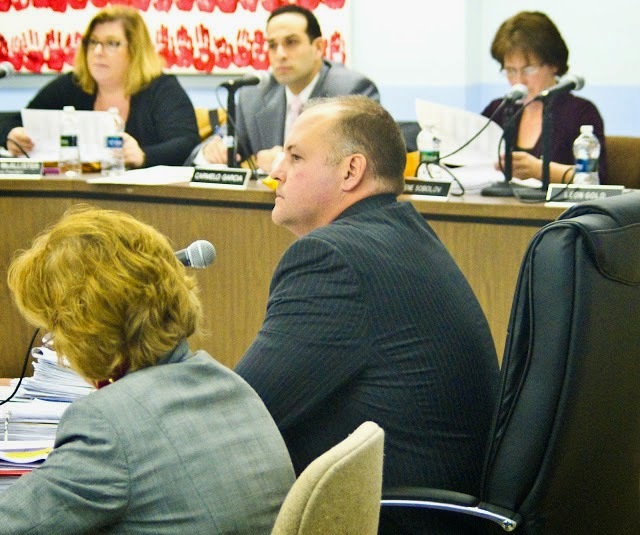 Toback spoke proudly on the core academic improvements in his three year plus tenure. "We have a great team here. We're all focused on what's important: the core function. The idea of focusing on the academics has really paid off." Pointing to the tangible improvement, Toback said the district now had a 93% proficiency in language arts, comparable to suburban districts and math proficiency has doubled. The language arts improvement is especially significant as it includes non-English speakers as part of the Hoboken school age population. Highlighting one area of achievement, Toback noted with not a little pride, "The junior class has the best test scores over many years." Related: The breaking story from the perspective of Wayne Township. Talking Ed Note: Dr. Toback is a former University of Delaware lineman, a scholarship athlete and someone who understood well what it meant to move the ball in the right direction as part of a team. In Hoboken, he managed to do so in a challenging environment where the conditions were not always sunny. His was a strong voice through ups and downs: a calm, stoic figure even in the controversy surrounding the State driven battle growing around charter schools. Hoboken may be the most unique school district in the nation with several charter schools in the mix. The departure is a loss for Hoboken. Dr. Toback will certainly be missed.